The Spanish Grand Prix weekend's full silliness of the silly season wasn't finished with Adrian Newey to Ferrari. Another rumour doing the rounds was the novel and apparently much less likely concept even than that, of Fernando Alonso doing the opposite journey of checking out of Maranello. But in his case in order to join Lewis Hamilton at Mercedes; Nico Rosberg presumably out on his ear. 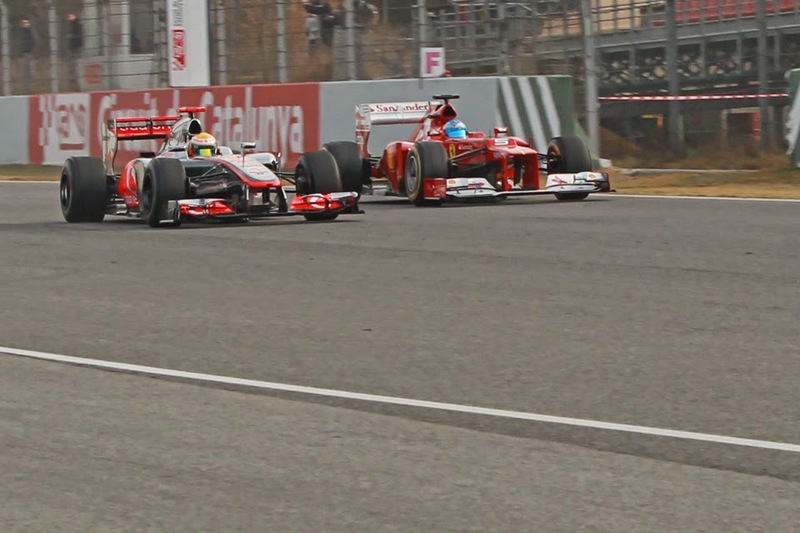 Fernando Alonso - on the move? The story - including that the signing of a contract is imminent - seemed to originate from a Twitter account that I'm told, um, isn't always right. But still, such is the way of these things it sprouted legs. Before the weekend was out even Alonso himself was being asked to comment on it in front of TV cameras. It's always difficult to know what to make of such shall we say rather outlandish suggestions. Of course one should never say never, particularly not in F1. By way of illustration certain rumours that transpired as correct seemed similarly outlandish and were met with similar incredulity when first aired; Lewis Hamilton to the same Mercedes team being the most obvious example. Kimi Raikkonen to call a truce with Luca Montezemolo and return to Maranello would have been considered about as (im)probable this time last year too. Plus it's tempting to think that anything this crazy being mooted must have some basis. But the flip side is that rumours in F1 with Machiavellian sub-plots - in other words put around with an ulterior aim; to shake someone or something up - also are common. To speculate (and of course not to accuse anyone of anything) one could imagine, for example, the benefit hypothetically of someone in or near the Alonso camp putting this idea around to put the wind up Ferrari, and remind the Scuderia implicitly not to take Alonso's loyalty for granted. After all that driver-team relationship got a little testy mid-last season. Since this broke I've come by a few 'Alonso would never want to pair up with Lewis' comments, based on 2007 and all that. For my part I cannot however see this being a show-stopper. The temptation for finally getting the keys of a top-notch car would be Alonso's primary consideration, and to get this I reckon he'd be willing to take his chances with Lewis. Plus the relationship between the two is pretty friendly these days, while Alonso always insisted that it was never Lewis that he had his beef with in the first place. 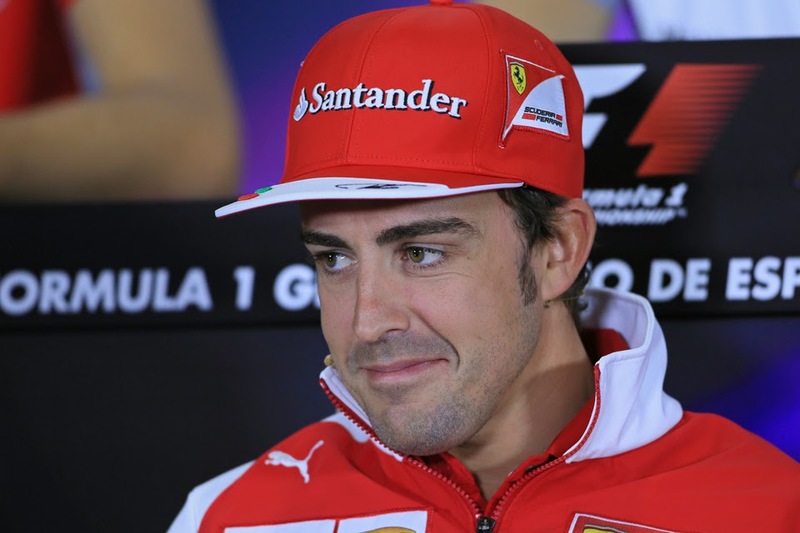 And whatever is the case, there would be no surprise element this time that so apparently unsettled Alonso then. Perhaps too we should borrow from Sherlock Holmes' method in seeking to crack this one, in that if you eliminate the impossible whatever remains - however improbable - must be the truth. Given Alonso's now entering year five of hauling around a recalcitrant Ferrari it seems likely he will be scanning the horizon for future alternative employment options. Further some observers reckon that the Alonso-Ferrari love affair is now over, destroyed by the set-to with Luca Montezemolo of last summer. If this is so and Alonso is looking to exit, and we assume that the Ron Dennis-led McLaren team is a no-no (plus the Woking team's hardy performing prodigies with its own cars right now either), as well as that Nando ain't minded to join the midfield then that only leaves the apparently unthinkable for Alonso: Red Bull or Mercedes. But how about some wild speculation. Mercedes - prestigious marque with a long motorsport heritage it is doubtlessly - is not in F1 as its raison d'être as say McLaren, Williams, or even Ferrari is. It therefore has to justify its investment one way or another. Has the company, as many in its position have, perceived a potential law of diminishing returns from its investment over time? Despite, or maybe in some part due to, its now habitual success? Is it even looking ahead to a potential loss of interest resultant from habitual success? There's nothing after all like a habitual F1 winner to make us all say 'hey ho', at least in the there and then. And if this is the case, what better way of addressing this than getting a driver of Fernando Alonso's star driver aboard, and then benefiting from the associated attention that an Alonso-Hamilton face-off would no doubt get?